In today’s times, when there are so many funky restaurants coming up, people have started looking for a simple life with simple (and yummy) food, which they can actually pronounce and which won’t look “down market” when they eat it with their hands (laughing emoticon if possible). Just kidding! In search of this very spirit, we went around and found this small establishment near shakti Nagar signal in the North Campus area. It’s pretty old, around 50-60 years or at least, that’s what the owner told us! 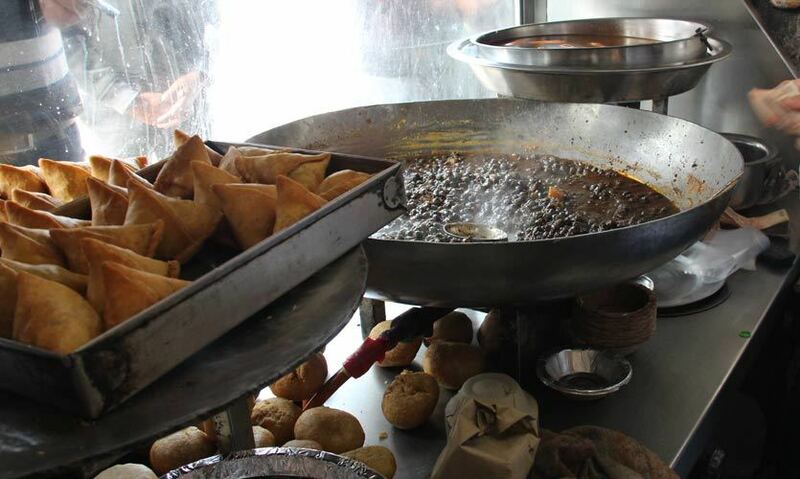 Their menu ranges from various chole dishes like Chole Chawal, Chole Bhature, Chole Samosa, Chole Kulche etc, Chowmein Samosa, Lassi, Kachori, Gulab Jamun and a few more aam things. Their shop might look small but inside, they have some standing room, where people could eat and click pictures - like we did! Our appetizer was - yeah - Chowmein Samosa! 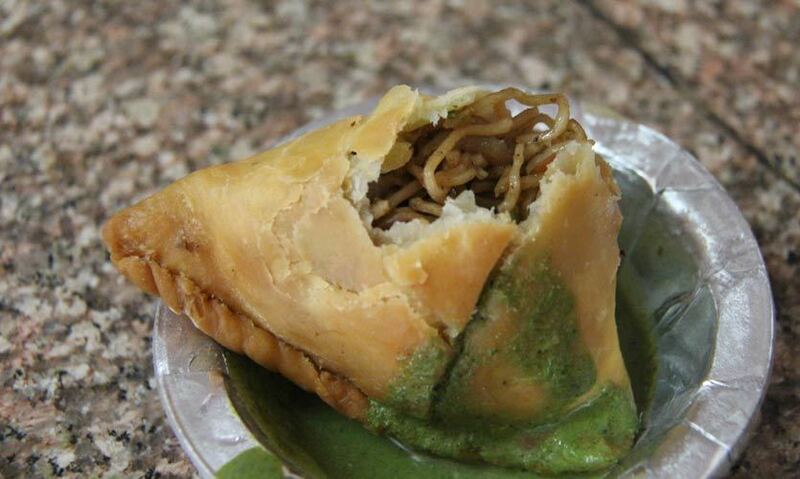 We mean, chowmein on one hand and samosa on the other - what could possibly go wrong, right? Mix both of them and voila - explosion of goodness in our mouth! It was served with some green chutney and its batter was crunchy and the filling of chowmein was very satisfying and scrumptious. The only problem was that it was a bit cold. 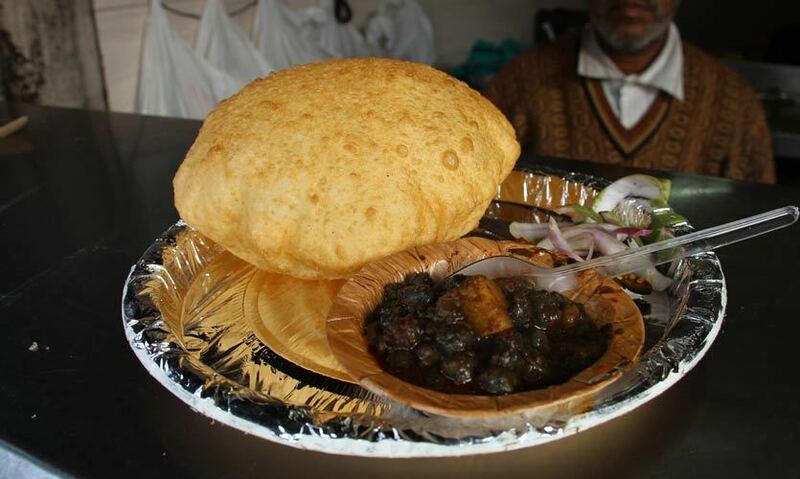 The bhature are their specialty and are really soft and have a bit of paneer inside them, which made it all the more tastier. They’re served hot and taken out of the wok right in front of you. Unfortunately, we didn’t like the chole as much. They were not at all spicy and frankly speaking, a bit bland. 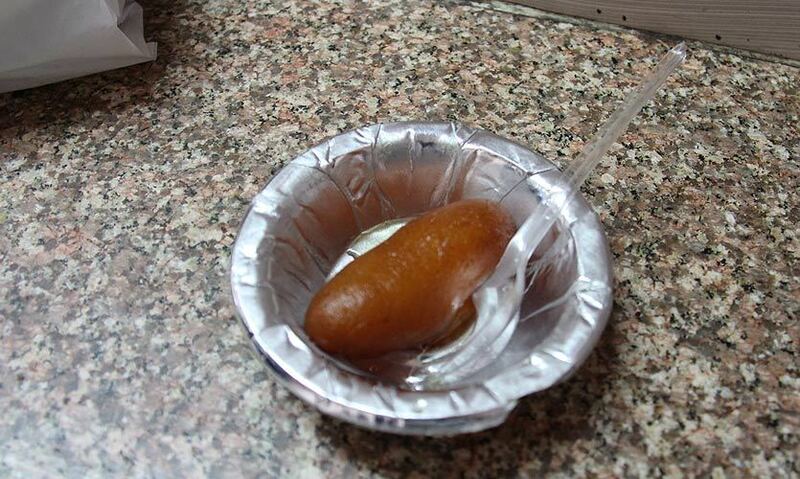 A good gulab jamun makes you feel all warm and fuzzy on the inside and fulfilled on the outside. This Gulab Jamun did exactly that. It was yummy AF! It was hot, gooey and soft - just the way we like it. When we dug our spoon in it, sugary syrup flowed down on its side. The syrup was neither too sugary nor too bland. It was just perfect! The food was scrumptious, apart from the chole disappointment. All the servers, as well as the owner, are very kind and always serve food with a smile. Also, they pack the food pretty nicely too. So if you want to take it home or to the office, they’ll pack up your plateful in a jiffy. So what we’re trying to say is that if you’re looking for affordable and scrumptious food options, you can definitely give this place a go! You can easily get the most important meal of the day i.e. breakfast in less than 100 bucks, so it’s a steal too.